Converts are the most fervent believers. It is true for religion, but it also true for transplants. Carolyn Meyer grew up in Yuma, Arizona. However, the desert was not her place. Her place was metropolitan and it was surrounded by water. Her paintings are about her love of adopted places: San Francisco and New York City. 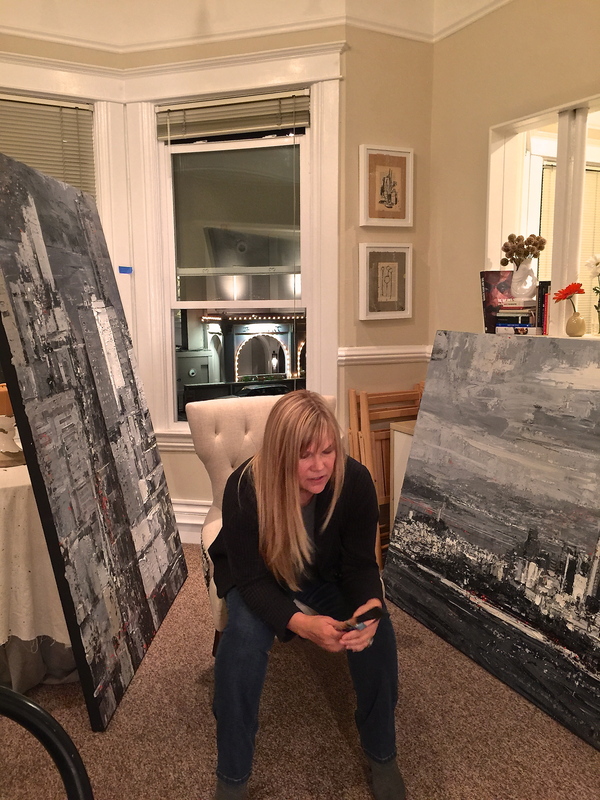 I recently visited Carolyn in her Sausalito studio overlooking San Francisco and the Bay. We talked at length about what she paints, how she paints and why she paints. I asked Carolyn which was more important: subject or process. She thought for a moment and answered “both”. She paints what she loves. However, the process of laying down thick impasto is not simply playing with color relationships nor is it simply studies in light and shadow. It is those things, but more importantly it is classically expressionistic. Within the framework of constrained subject matter, she uses the paint as a way of directly and subconsciously exploring her feelings about the subject. You can see in Meyer’s work a broad range of influences. The influence of the Abstract Expressionists is clear in her physical use of paint to convey emotion non-verbally through color, texture and form. She also mentioned how important the Bay Area Figurative artists were as early influences. I see, in many of her paintings, the footprint of Wayne Thiebaud. 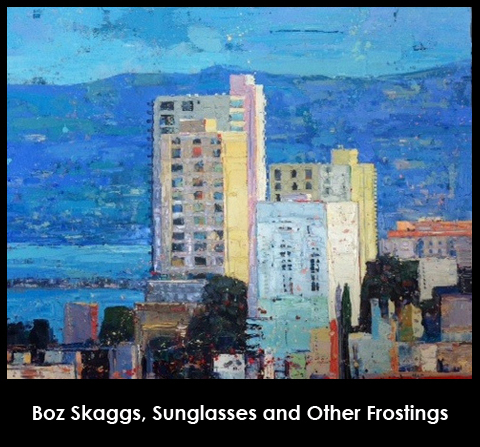 There is in some of the San Francisco works, particularly, a similar use of complex perspective. The streets look almost flattened, but they are really a combination of multiple perspectives in a single painting. This combination of perspectives is seen in many of her works. The Abstract Expressionists felt that emotion could be conveyed directly without the crutch of subject matter. Painters in the Bay Area like David Park, Elmer Bischoff, Richard Diebenkorn, Wayne Thiebaud and Manuel Neri, among others, pulled back from that purism. They incorporated the emotional power of the medium itself into their paintings; but, they also used specific subjects as a scaffolding within which to explore those emotions. The subject matter was not a crutch. Both medium and subject shared equal billing. This is the legacy that Carolyn Meyer continues to explore. And, like those artists, what makes her work powerful is the very personal nature of that exploration. Carolyn keeps certain paintings as touch points in her journey. She said that she feels, at times, that she almost has almost been able to articulate what she wants to say in her paintings. Close but no cigar. She likes having the physical references to these “almost successes”in her studio, almost like documentation of the different paths. There is a voice that wants to heard. And, it is the search for perfect pitch that keeps her painting. Her current exhibition at ArtHaus, “San Francisco – New York (Non Stop)”, is a perfect opportunity to see her continuing exploration of the importance of place.